From coast-to-coast, the USA is packed full of beautiful lakes – some big, some small – that are worthy of a spot on your adventure bucket-list. Whether you’re seeking a hidden gem reached only by hike or a more popular lake for boating and recreation, you will find it on this list! From glacial lakes to reservoirs, here are 17 jaw-dropping US lakes you should visit at least once in your lifetime. 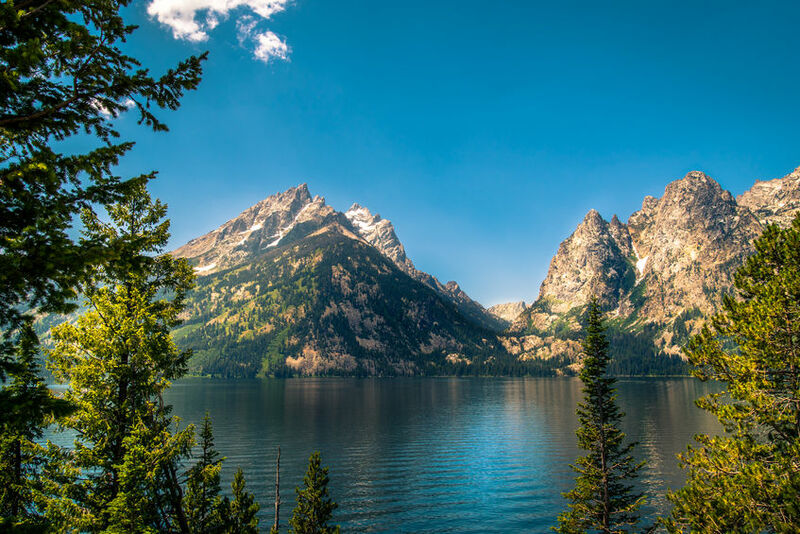 Located in Grand Teton National Park, Jenny Lake is a top highlight for many visitors. 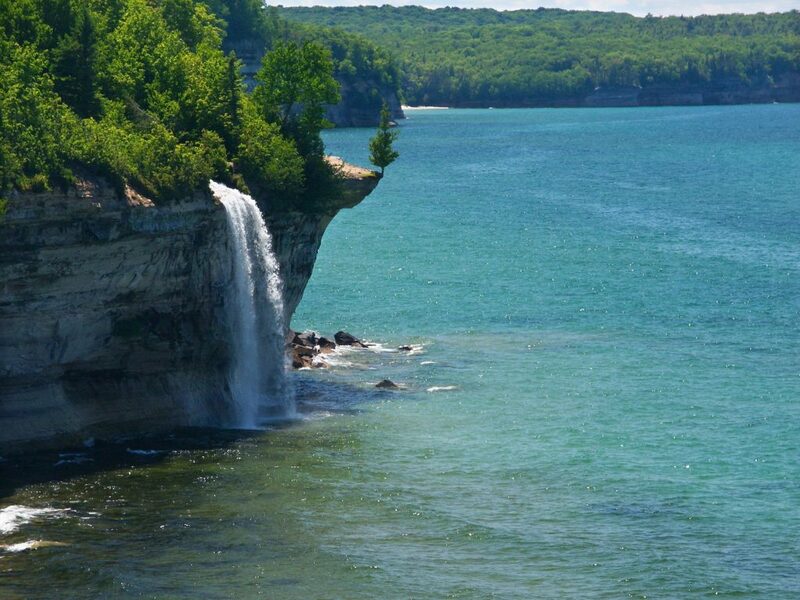 Hike around the lake, camp, bike, have a picnic, or journey to nearby Hidden Falls. If you’re short on time, the Jenny Lake Scenic Drive is definitely worth it to snap a few photos from the popular Cascade Canyon Overlook. Breathtaking Crater Lake, situated within Crater Lake National Park, is the deepest lake in the US. 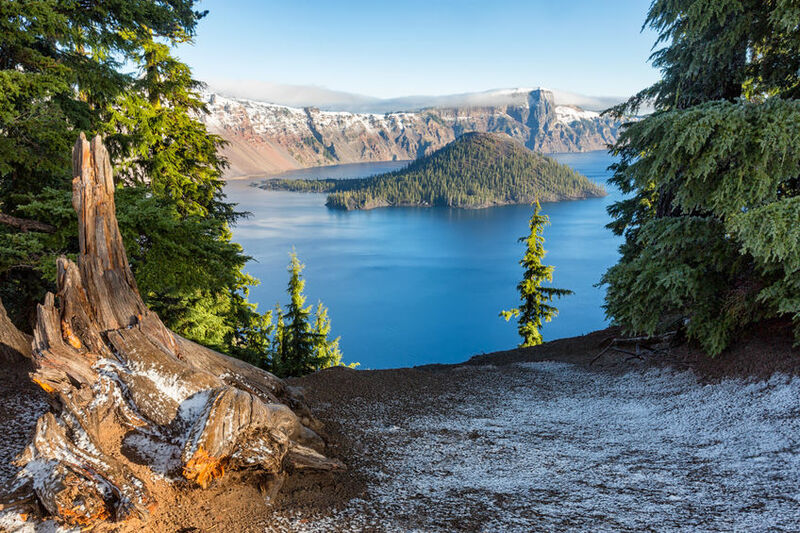 The blue, pristine waters fed by snow and rain are dazzling, and it’s very possible to spend an afternoon just gazing at the beauty that is Crater Lake. Many visitors bike or hike the popular Rim Drive, or find another trail where they can breath the fresh mountain air and take in the views. 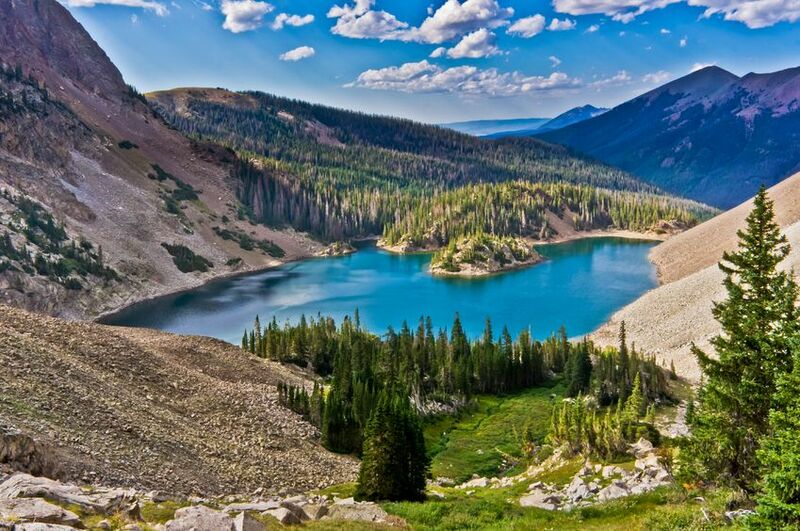 Lake Agnes is nestled within Colorado State Forest State Park which lies within the Never summer Mountain Range. A popular destination for wildflowers, fishing, and stunning views, you can reach this beautiful spot via a 2.1-mile hike. 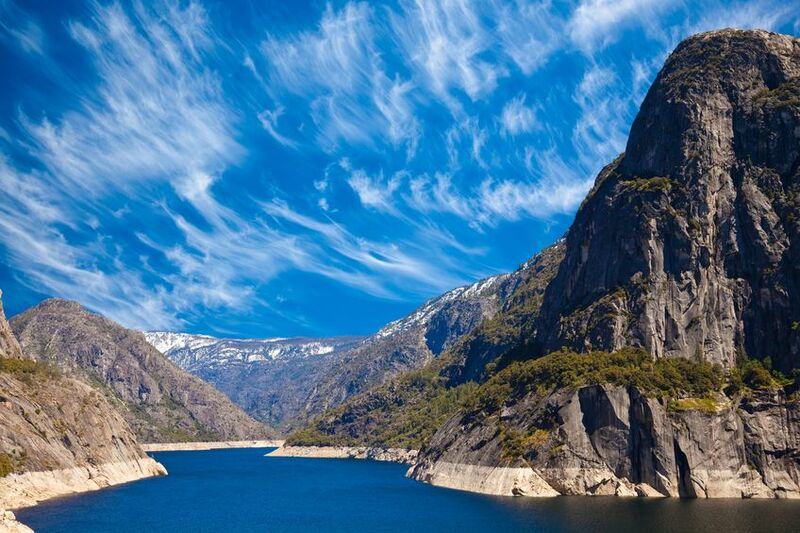 The brilliant Hetch Hetchy Reservoir can be found in Yosemite National Park. Located in the northwest corner of Yosemite, this is the ideal spot for hiking, discovering spring waterfalls and gorgeous wildflowers, and marveling at majestic peaks. 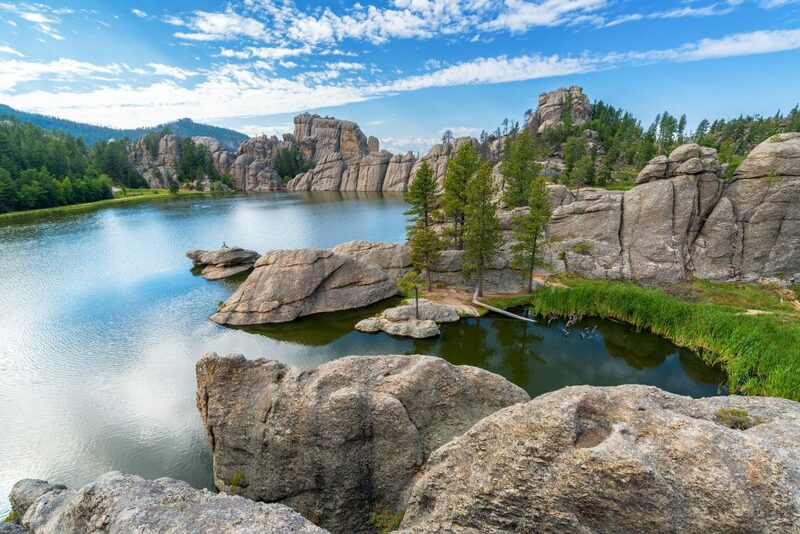 Nestled within the lovely Custer State Park, Sylvan Lake is a must-see if you’re in the Black Hills of South Dakota. Whether you stop for a picnic, take a swim, paddle, fish, or just relax for a few minutes by the water, you won’t be disappointed in this beauty! 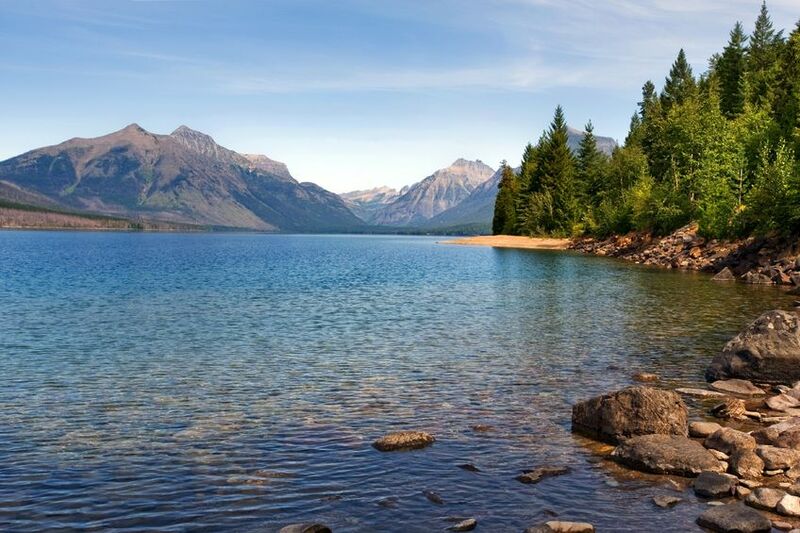 Perhaps the most popular lake in Glacier National Park, Lake McDonald is the largest lake in the park at ten miles long and 472 feet deep. Surrounded by mountains and only miles from the Continental Divide, this is a great place to hike, view wildlife, and take some beautiful pictures. Lake Superior – also located in Minnesota, Wisconsin, and Ontario – is the largest of the Great Lakes and the largest body of freshwater on the planet. At its deepest point, Lake Superior reaches depths of 1,300. The water here is unbelievably clear, and generally quite chilly. During the summer months this is a great place to cool off and explore the many points of interest surrounding the lake. This iconic destination is arguably the most photographed spot in all of Colorado. 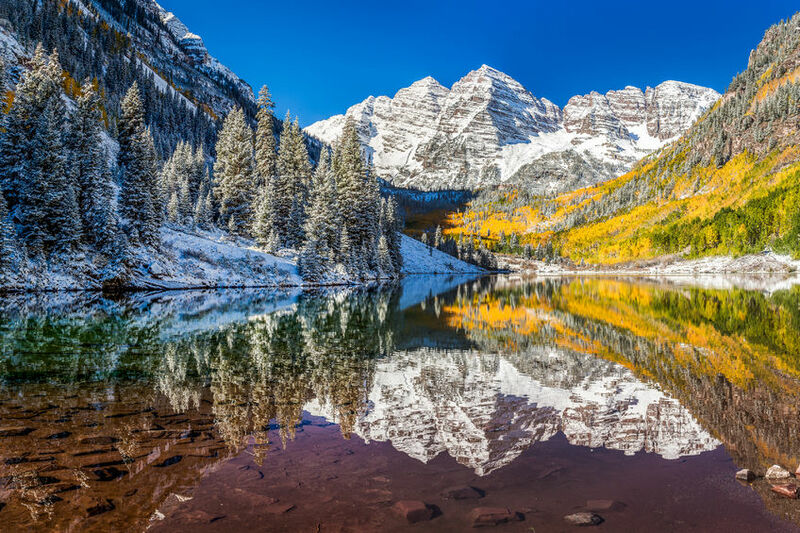 Two snow-capped mountaintops, North Maroon Peak and Maroon Peak, are perfectly reflected in the gorgeous Maroon Lake. Situated in the White River National Forest, visitors can hike, fly-fish, enjoy beautiful wildflower fields, or just relax and soak up the views. While the summer months provide more recreation, this destination is truly stunning during any of the seasons. Famous for its brilliant turquoise waters, Diablo Lake (actually a reservoir) is located in North Cascades National Park. The Diablo Lake Trail leads to fantastic views of Ross Lake, waterfalls, and multiple mountain peaks. 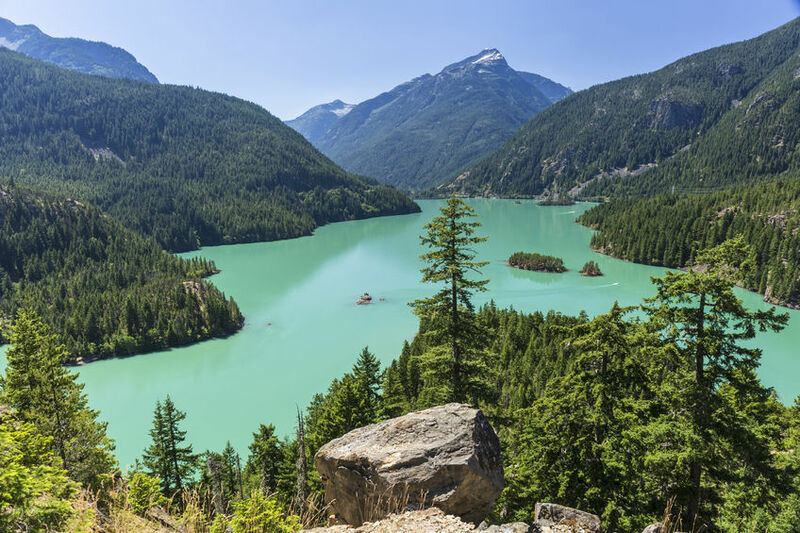 Don’t miss out on the Diablo Lake Overlook, and if you want a fun experience, take a boat ride and check out the water up close. Situated in the Sierra Nevada Mountains, Lake Tahoe lies within both California and Nevada. 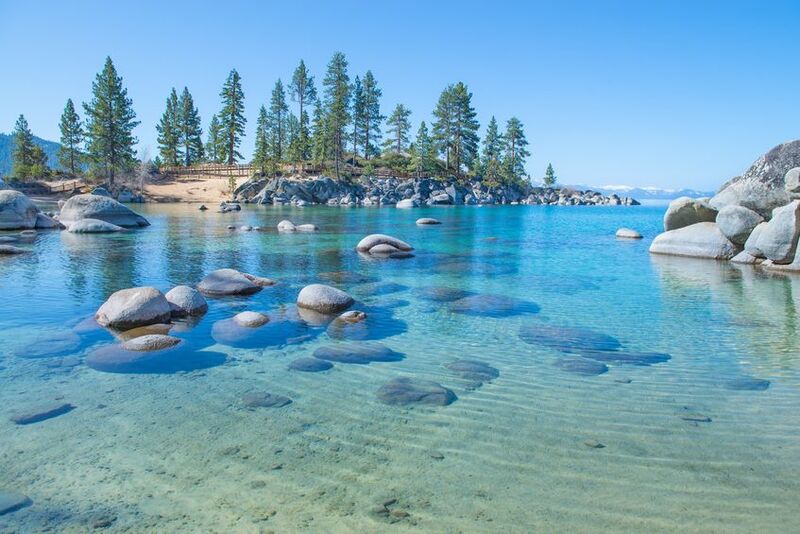 A mecca for outdoor recreation, this amazingly clear freshwater lake is home to Emerald Bay State Park, Lake Tahoe Nevada State Park, Sand Harbor Beach, and the popular Tahoe Rim Trail. From hiking to waterfalls to paddling, Lake Tahoe is a great spot to get outdoors and enjoy nature. Ready to plan your next adventure? Explore thousands of campgrounds, RV parks, cabins, and resorts on Camp Native!